Makesafe Traffic Management is an Australian Owned Traffic Management Company. Established in 2009 to provide what was identified as better practice in Traffic Management in Melbourne and Victoria. We have grown rapidly in that time due to our constant works with our valued clients to ensure that their every need in traffic management is met with the highest possible service both within Management and with Traffic Control Crews in the field. 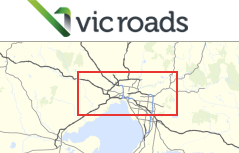 Makesafe Traffic Management has also gained Pre-Qualificiation Status by VicRoads. The Team at Makesafe is what makes our company one of the leaders in the industry. We have a dedicated team of personnel from our Management Team through to our Team Leaders and Traffic Controllers. We look after our team as they are the face of our company at each and every work site we do every day. Phone – 1300 367 872 or email: admin@makesafetraffic.com.au with your enquiry.